To purchase tickets, visitDirected by C. Luke Soucy/; or call us at 1-732-997-0205. 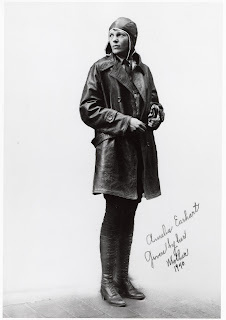 Following last year's successful The Owl and the Pussycat, Princeton Summer Theater is happy to present Amelia Earhart Forever, another original children's show from the pen of Annika Bennett. Watch Amelia and her plane soar through history and the world in this exciting theatrical adventure, catered especially for young audiences! Princeton Summer Theater is a 501(c)(3) nonprofit organization. PST has been completely student-run since 1968 and strives to give affordable world-class theater to our community. Want to continue the fun after the show? KidsParties.Party is the ultimate birthday party planning website. Click here for more information!